Well, this is interesting, for so many reasons. 20th Century Fox has released a new Japanese poster for James Mangold’s The Wolverine, which ComingSoon shares, that raises so many interesting questions by showing subtle hints in what’s really a basic, straightforward headshot that still manages to say a lot. The first question is the most obvious: Why does Logan (Hugh Jackman) need a Samurai sword when he has claws jutting out of each hand? Yes, yes … I know that Mangold’s movie adapts one of Wolverine’s most beloved storylines that carries him to Japan where he explores the roots of his innate savagery (and trains with lethal ninjas). But I really hope that the film, and the director, take a moment to explain – even playfully – why Wolverine would need to bother with a sword when he has six smaller ones of his own. Secondly, is that the Eiffel Tower reflected back at us in the sword? 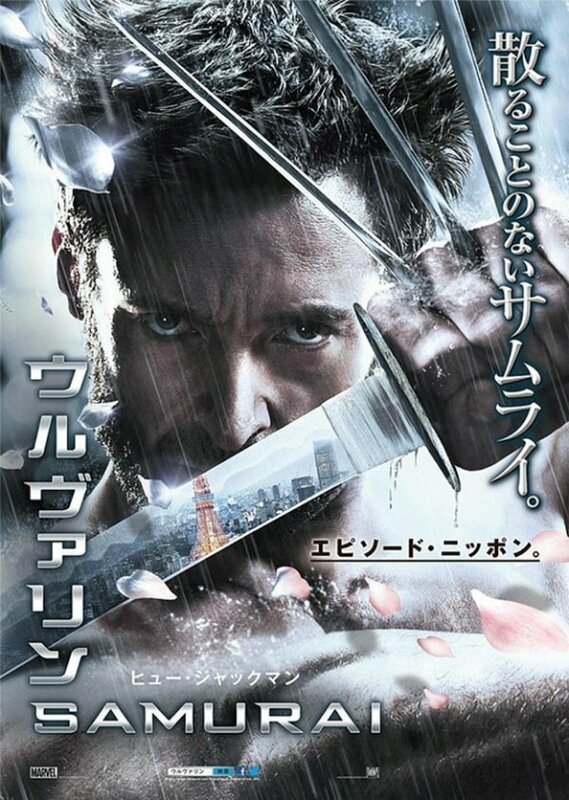 Maybe I’m just not familiar enough with Japan’s architecture, and it’s VERY possible that Wolverine’s sword is reflecting back a recognizable landmark from the Asian country. But I’ve studied the image in the poster, and it sure looks like the Eiffel Tower to me. Does that hint, somewhat, to the Paris tragedy that Bryan Singer has hinted at in his X-Men: Days of Future Past Tweets? That would be a reach. Or would it? The Wolverine is positioned nicely as summer 2013 continues to roll along. The early stages of superhero fatigue are fading, now that Iron Man 3 and Man of Steel have had their say. And Comic-Con feeds right into fan interest. Is it possible that Fox will bring a chunk of this film to San Diego? We’ll see soon.